You have been hired for a defense engagement to verify losses in multiple cases, only to find that incorrect assumptions, insufficient evidence, and mathematical errors were found, all of which could have impacted the lives of suspects in a myriad of ways. When is it appropriate to take a defense case? How does the role of the CFE change, if at all? This session will use actual documents, schedules, and reports from state and local cases, diving into issues discovered including common errors, lack of sufficient evidence, and fact patterns that lead to significantly different outcomes for our clients. How might our discoveries help you shore up your cases — making them even stronger? Tiffany Couch, CFE, CPA/CFF, is principal at Acuity Forensics, a Pacific Northwest forensic accounting firm with a national presence. 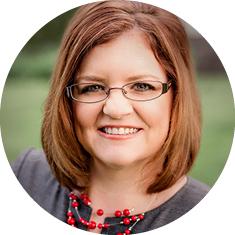 She has more than 21 years of experience in the field of accounting with the last 14 years focused completely on forensic accounting-related engagements. Her expertise is in matters involving fraud investigation, forensic accounting, contract and regulatory compliance, internal control risk assessment, and complex litigation. She has provided expertise as a source to The New York Times, NPR, Wall Street Journal, Forbes Magazine, Financier Worldwide Magazine and First Business News. She’s also a regular contributor to Fraud Magazine and the Vancouver Business Journal, and has been interviewed for CNBC, KING 5-TV in Seattle, iHeartRadio and KGW-TV in Portland, and News Talk in Alberta, Canada. Couch is the recipient of the 2014 James R. Baker Speaker of the Year, presented by the ACFE to honor an individual who has demonstrated the true spirit of leadership in communication, presentation and quality instruction. She serves as a faculty member for the ACFE and recently completed a two-year term as Vice-Chair and Chair of the ACFE’s Board of Regents. Couch is the author of The Thief in Your Company, available at Amazon and the ACFE bookstore.